Today I couldn’t find a single Clematis bloom. 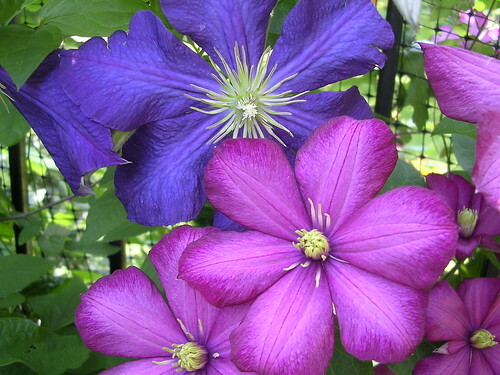 So I pulled this photo up from a special day in April and it’ll be the last Clematis post until next Spring. This entry was posted on Wednesday, May 23rd, 2007 at 7:40 pm	and is filed under Garden. You can follow any responses to this entry through the RSS 2.0 feed. You can leave a response, or trackback from your own site.